Returning to the airport after dinner I dropped by the premium check-in counters located on the A & B rows at the end of airport. 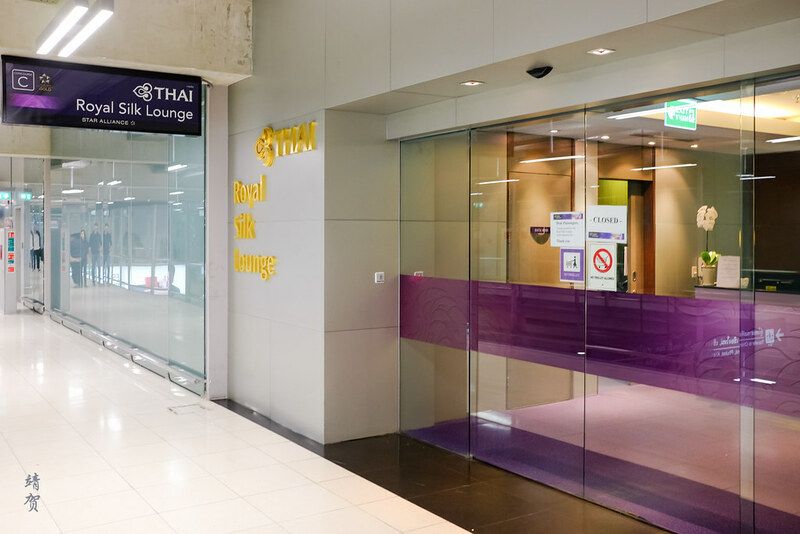 Thai has plenty of counters for Royal Silk (Business Class) and a separate area for Royal First passengers. In addition, there is a priority security lane located here as well. After getting the latest gate information for my flight, I sat down by the sofas across from the Royal Silk check-in counters to finish my guava snack I had purchased in town. 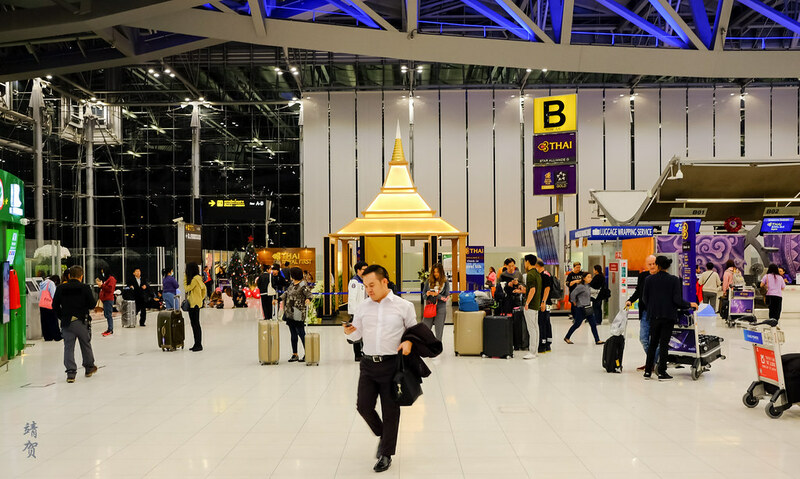 The long layover in Bangkok allowed me to sneak out to the city to indulge in some of my favourite Thai snacks before proceeding for my night flight to Europe. It was here that I realized there was a special tie-up for chauffeur service provided to First & Business Class passengers with Lexus. 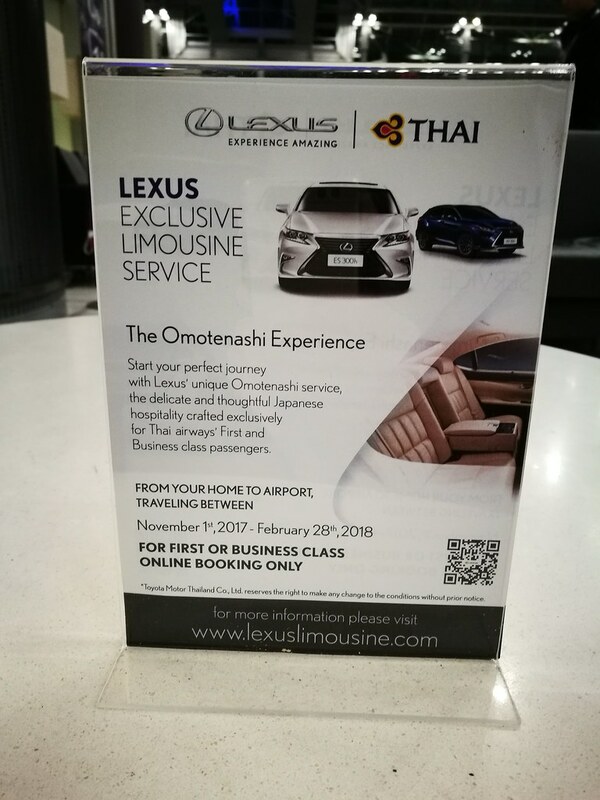 Apparently this service is only until 28 Feb 2018 and offered within Bangkok. Whatever it is I do hope it gets extended in the future to be a permanent fixture as that would be really a great service to have. After finishing my snack, I went past security which has virtually no queue since it is only for Business class passengers. At the end of the security check are escalators leading into the main Royal Silk Lounge which I have reviewed in the past. 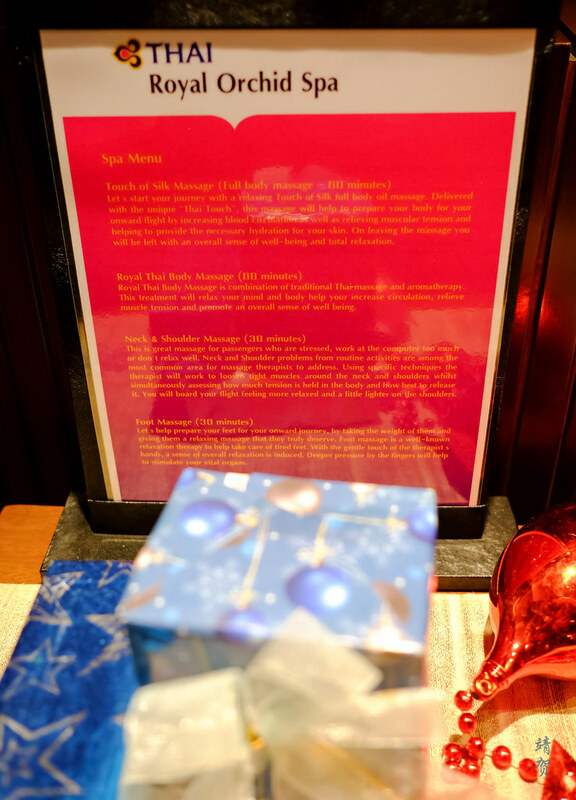 It was then time to indulge in some massage as I exited the Royal Silk Lounge to get to the Royal Orchid Spa located across. First Class passengers get a 1 hour full body massage or they could have both the 30-minute foot massage and a 30-minute head and shoulder massage. Business class passengers get to choose one of the 30-minute massage treatment. These massage treatments are definitely one of the reason to stopover in Bangkok or to fly with Thai Airways premium cabins. I made an appointment for the 30-minute foot massage which was nice after walking in the streets of Bangkok earlier this afternoon. With the conclusion of the massage, I helped myself to some snacks while the staff in the spa offered me beverages. I went with the ginger tea which would be great to prep my body for the winter in Europe and had a couple of my favourite snack in the Spa. 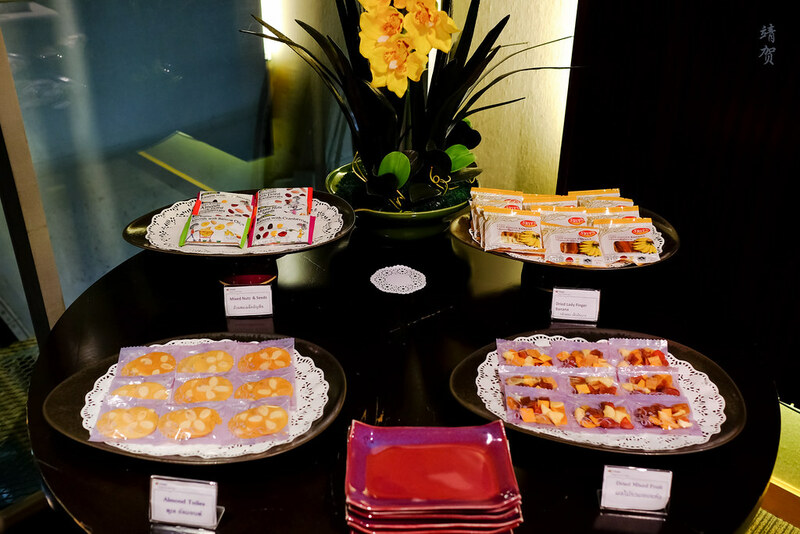 Below are some photos of the lounge for guests after the spa as well as the packaged snacks that they could enjoy inside the spa. 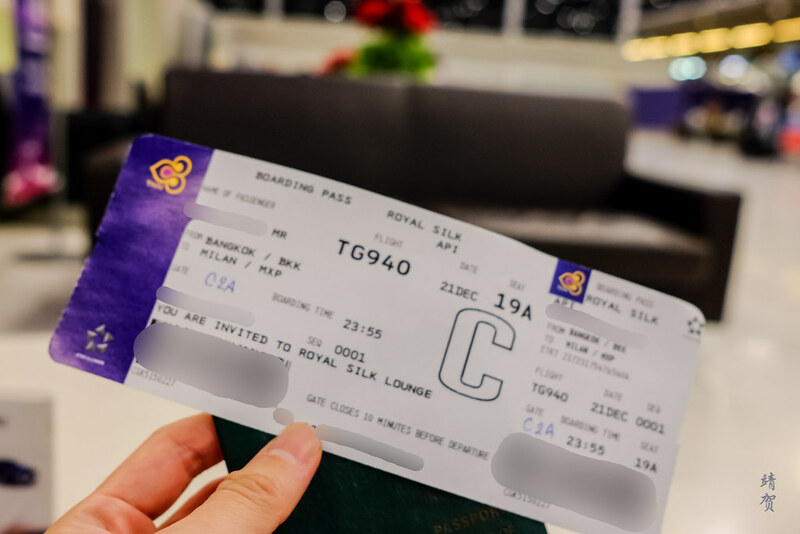 After that I went to the Royal Silk lounge in Concourse C (East Wing) as the departure gate for my flight is in the C area. 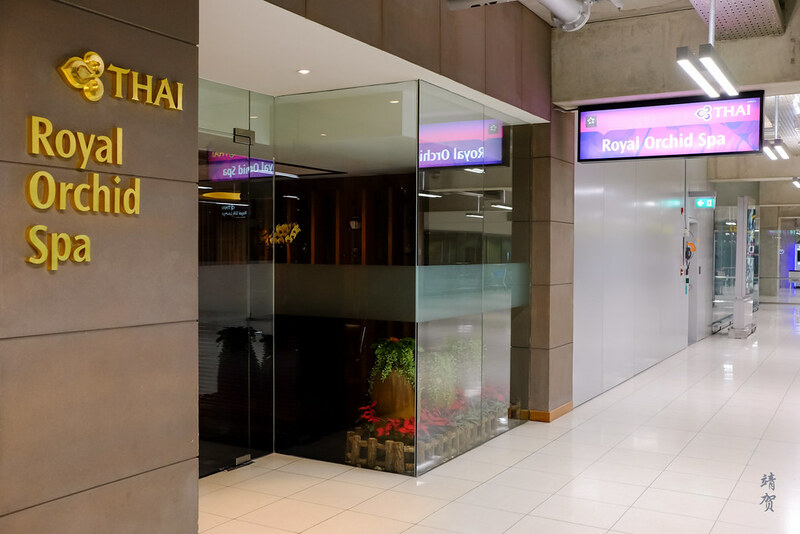 Thai Airways also operates 2 more lounges in Concourse E on the West Wing with a Royal First lounge there too. 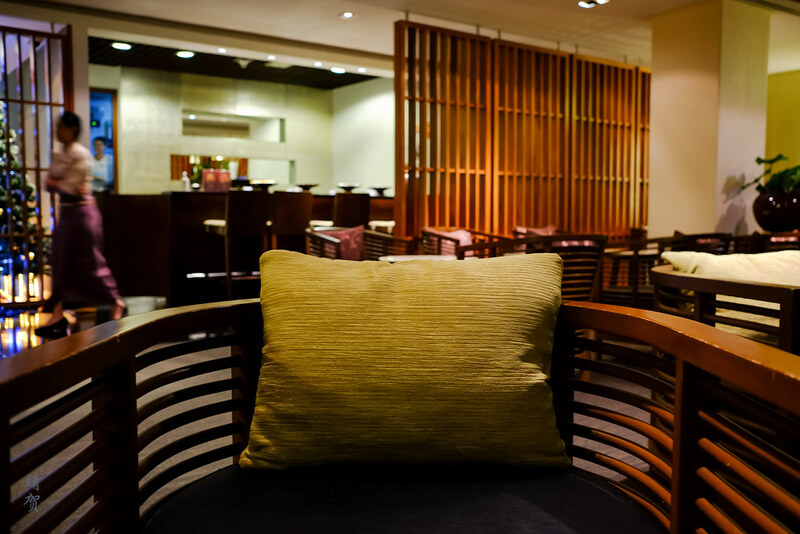 There is also a Royal Silk lounge in the Domestic side of the terminal. There are 2 lounges in the Concourse C and they are directly across of each other. 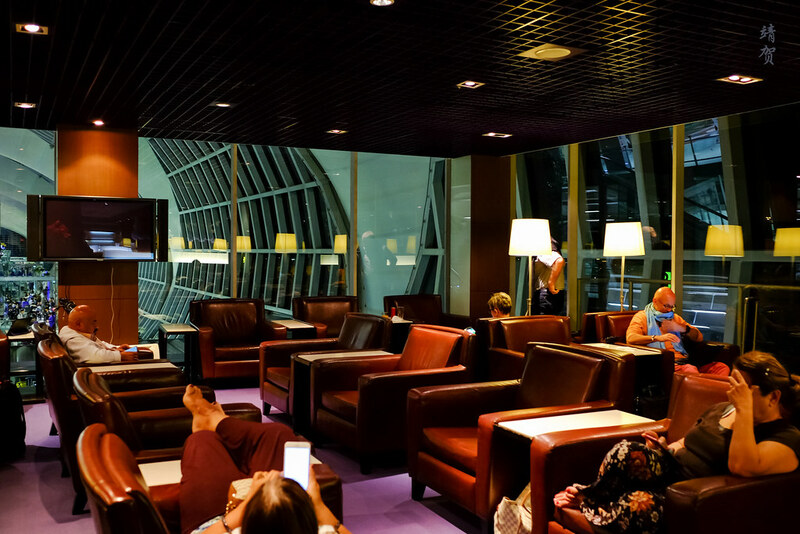 While both lounges are mirror images of each other in terms of layout, the one on the west side (left side when walking towards the C gates) has 6 semi-private napping cubicles. 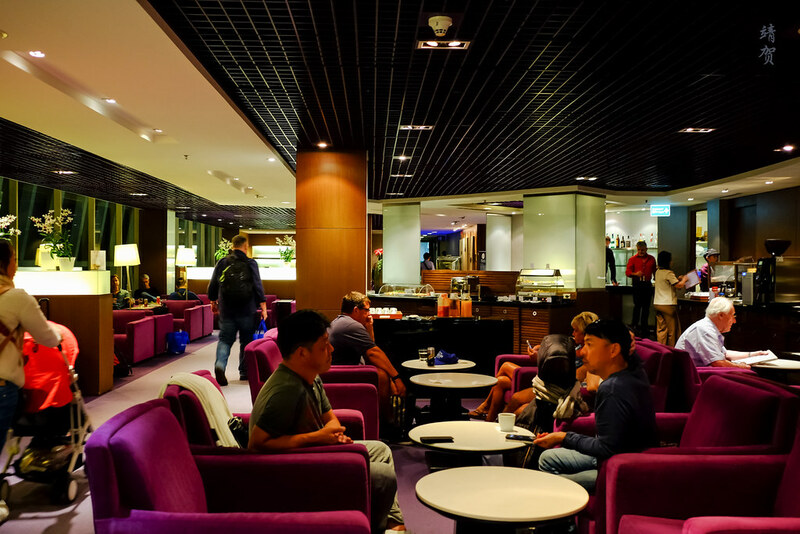 Otherwise the lounges generally have the same food, workstation and shower amenities, and I was able to enter both lounges from the Royal Orchid spa just by providing them my boarding pass. Upon entering the lounge, there are plenty of seating spaces along with some workspace cubicles by the window. At the end of the wall is a large magazine shelf stocked with magazines and newspapers. 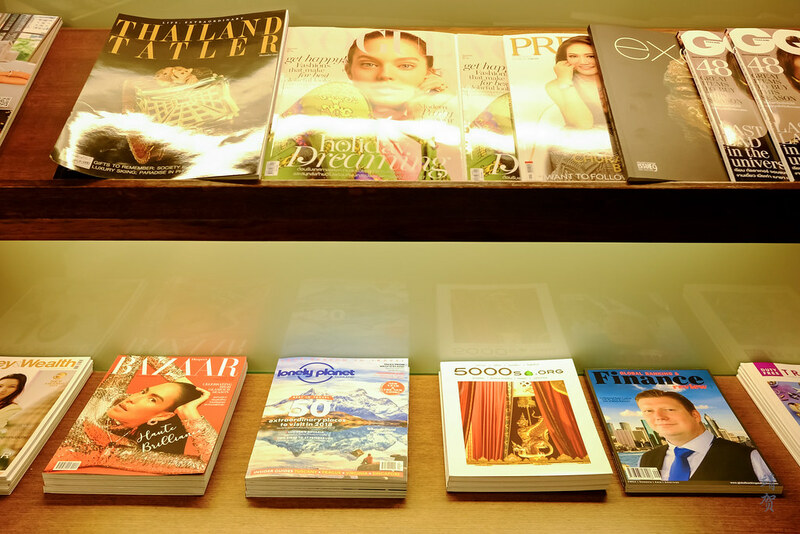 While the magazines might have English covers, the contents were mainly in Thai, meaning they are quite useless for the foreign traveller who do not read Thai. Since I wanted to have a shower after the massage, that was where I went to first. 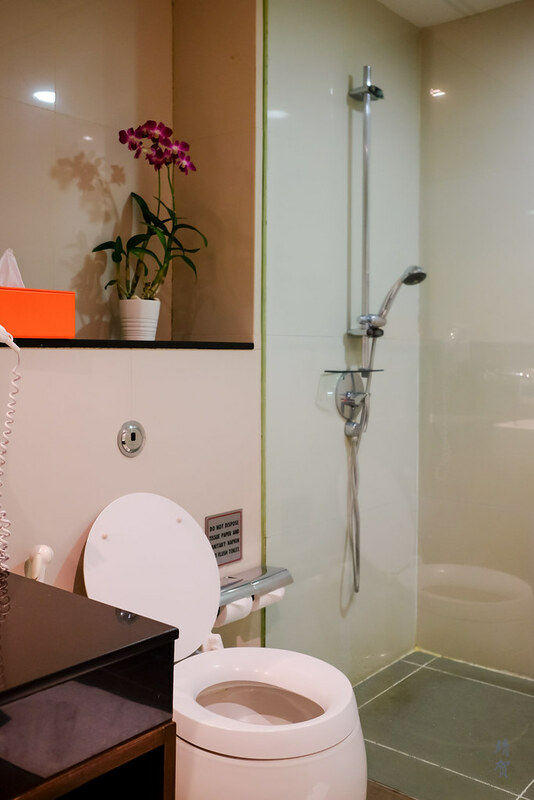 There was no wait for a private shower room since both lounges in this concourse is equipped with them, and there are several shower rooms in each lounge. While the interior of the shower room is pretty basic, it was functional with a clean countertop. Along the countertop was a wall mounted hand wash and a hair dryer. 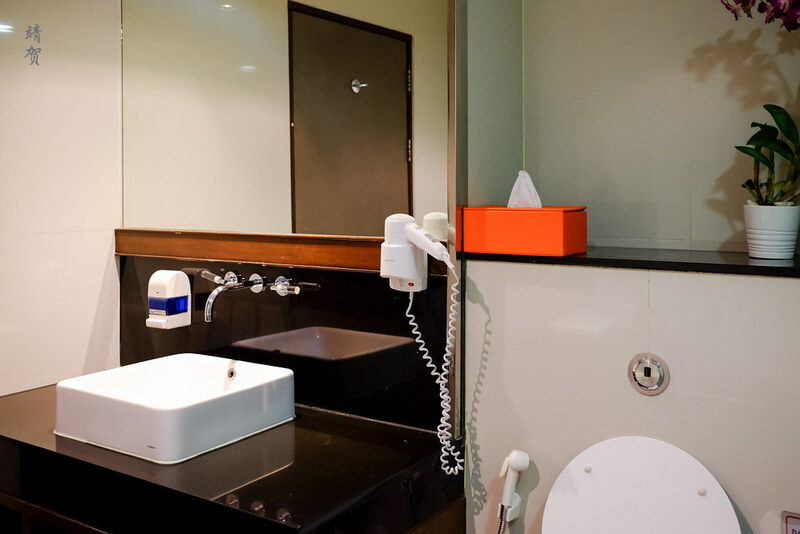 Beside the countertop was a neat toilet with an interesting design, giving the bathroom a touch of style. A glass partition creates a simple shower cubicle with only a handheld shower. Across from the countertop, guests would find a bench/stool where they could place their clothes bag with a cabinet by the side where fresh towels are placed. 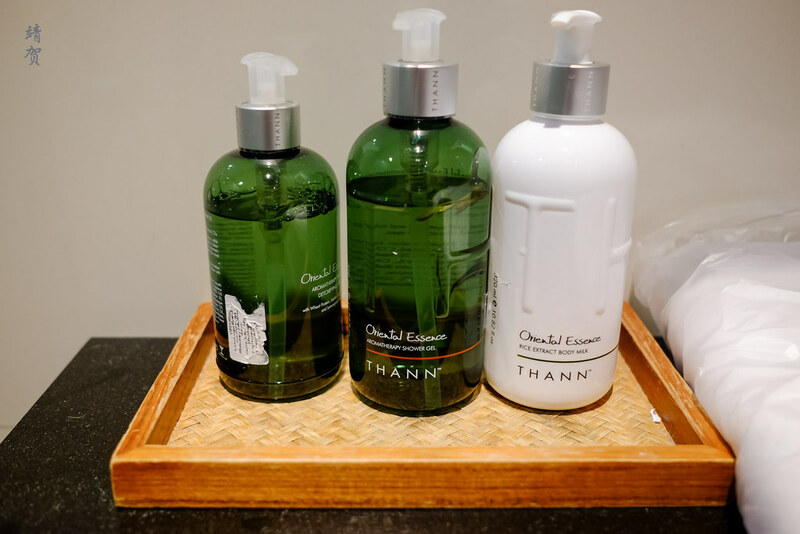 Thann amenities was provided in the bright shower room which I enjoyed as their scents were nice and representative of Thailand. However the water heater needs some work as the water was no longer warm towards the end. 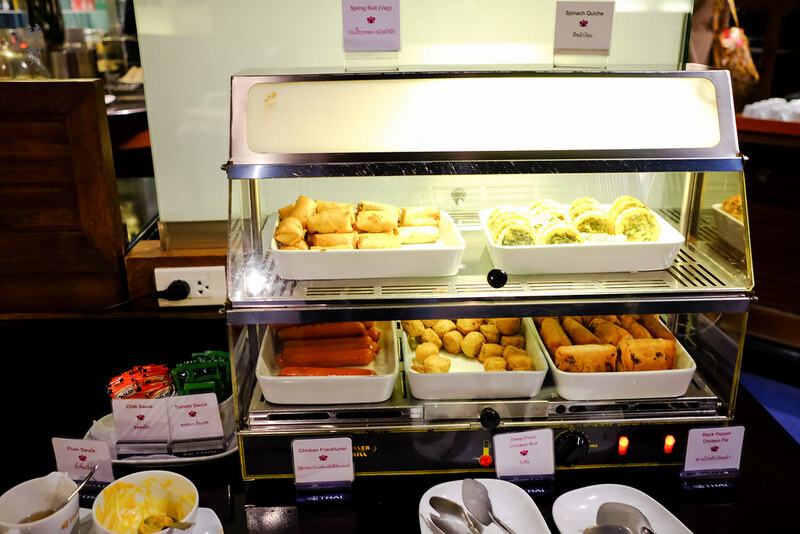 Feeling refreshed, I head back to the lounge to check out the food served here. It was already past dinner time here and I was not hungry at all after munching on Thai food for the evening. 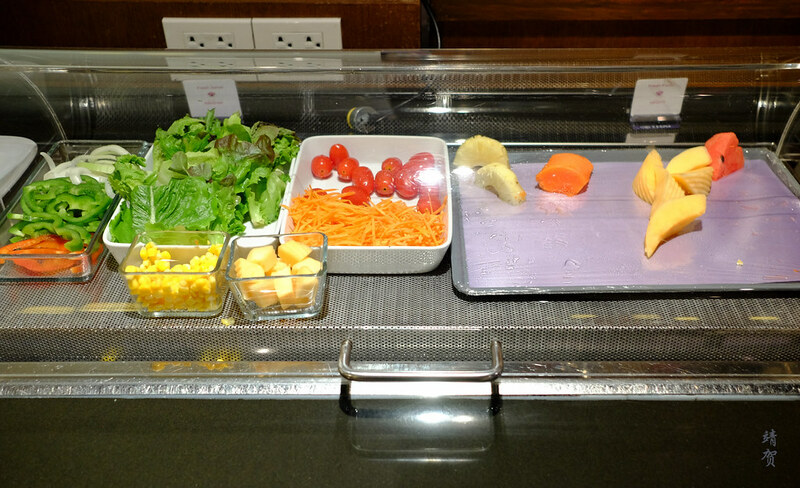 After all the food in the Business class lounges are really nothing to look forward to. 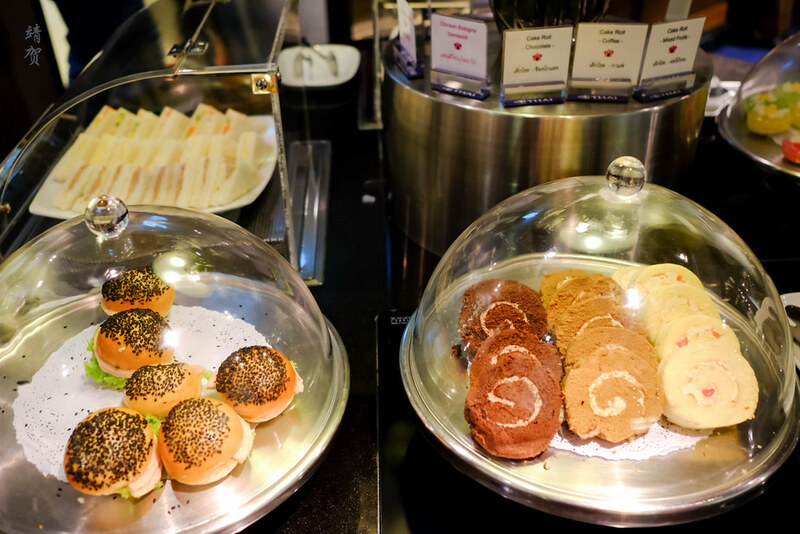 There was buns and cream filled roll cakes around the buffet counter, along with a hot counter serving sausages, deep-fried chicken rolls, pies, quiches and spring rolls. 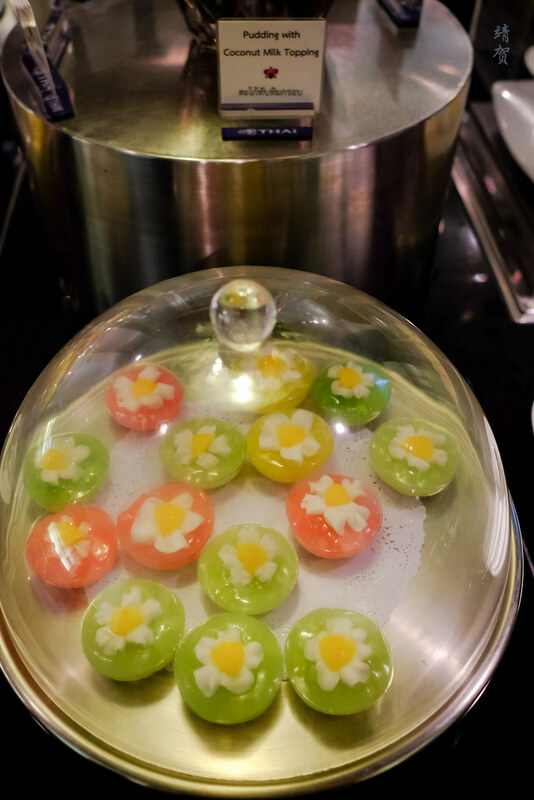 For dessert, there was colourful Thai puddings with coconut milk, and choices of cut fruits that was kept in the cooler with assorted vegetables for the salad. 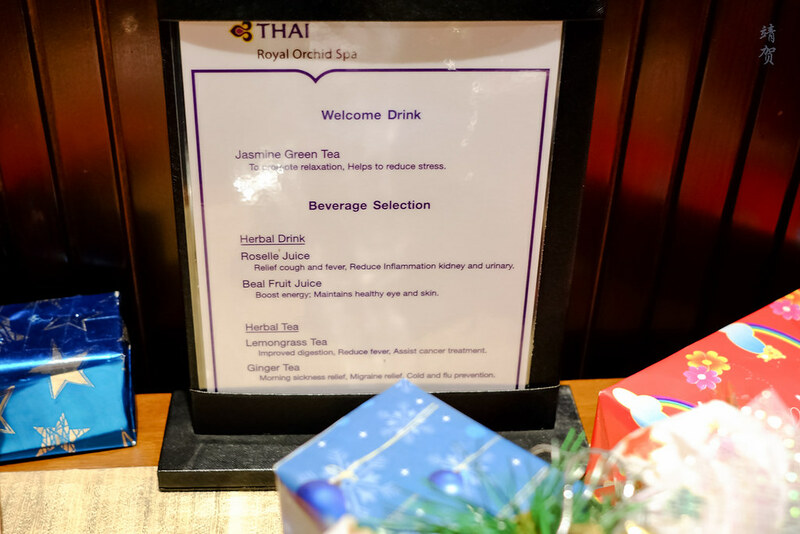 While the lounge serves a variety of drinks like soft drinks, coffee, tea, beer and wine, they did not have some of the drinks served onboard Thai Airways flights like the butterfly pea drink which I enjoy. 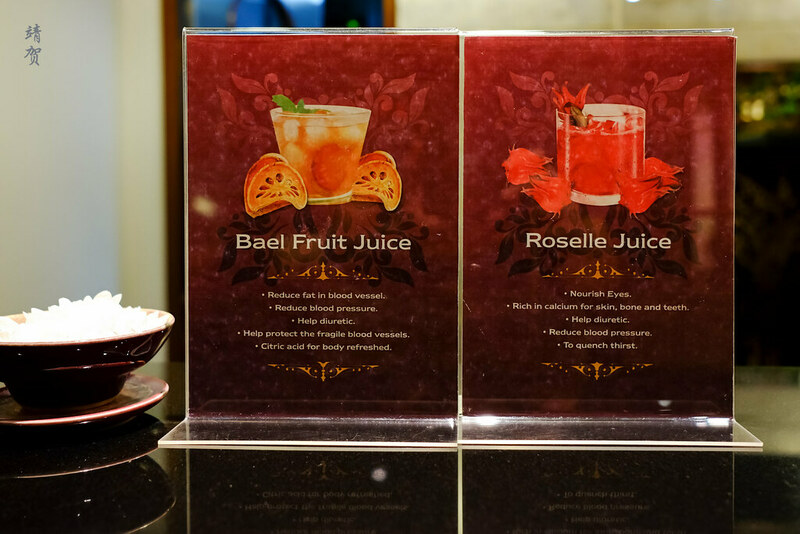 In addition, they did not have the specialty drinks available in the Royal Orchid spa. 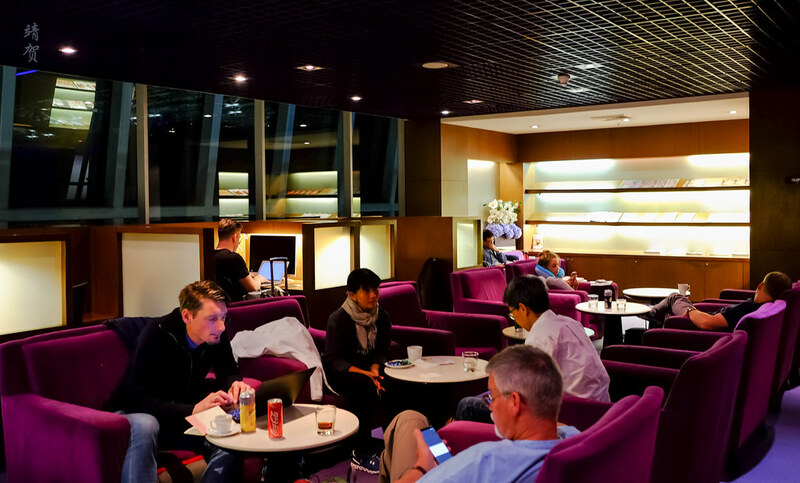 It would be really nice if Thai Airways would standardize their offering in the lounges, and for guests who prefer tea and specialty drinks, they should certainly head to the spa lounge instead. 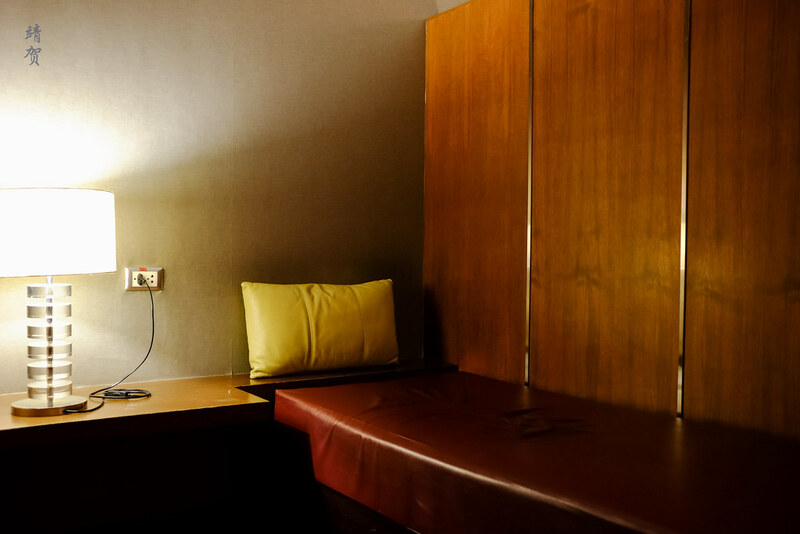 For travellers looking for a space to rest, relax and have a shower, the Royal Silk lounges were adequate as they provide many of the amenities in a clean and functional space. 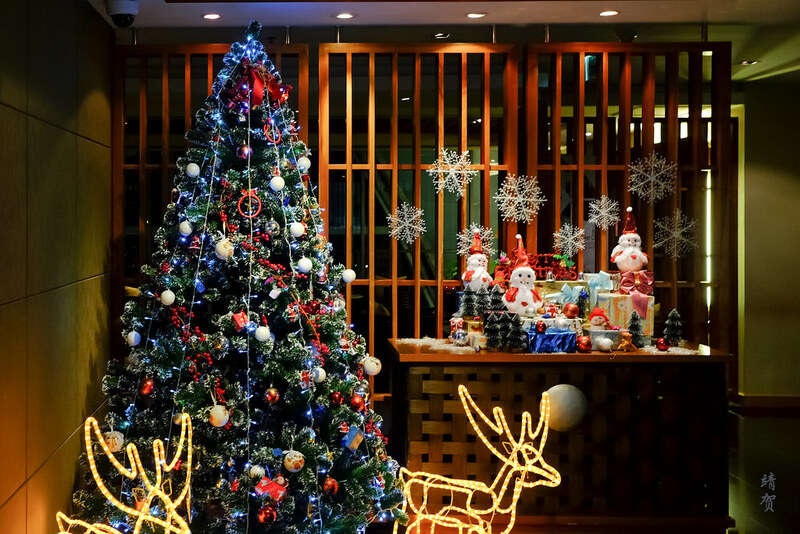 However if you are looking for nice food and drinks, perhaps the restaurants around the airport would better serve your needs. Since most premium passengers gets food onboard as well, they rarely have full meals on the ground. The dilemma is for Star Alliance Gold members which gets access to these lounges but who might not be travelling upfront. 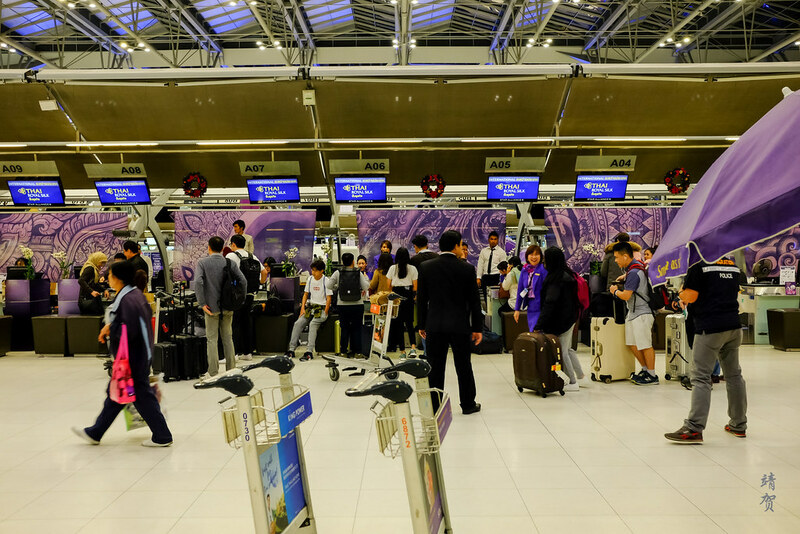 In this case, I would recommend them to eat in the city or at the numerous food outlets in the airport first before heading to the lounge if they are picky about food as I doubt you can be satisfied with the food here.